If you’re looking for a place to shop for holiday gifts, we’ve got the list. 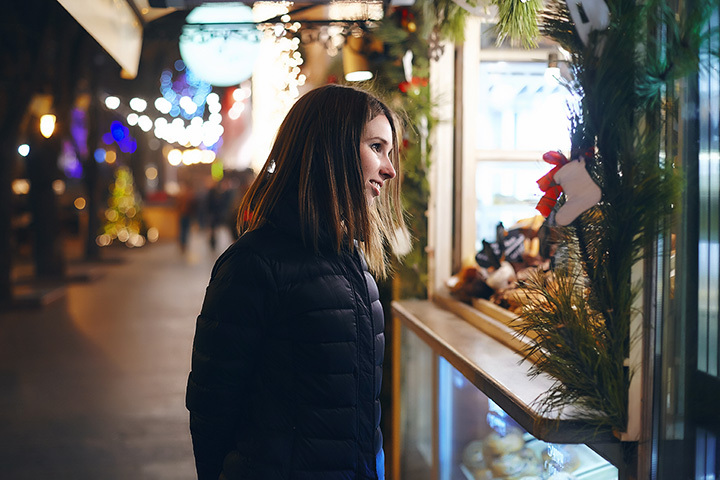 Whether you enjoy a shopping mall with plenty of stores and entertainment or small, local boutiques, there’s something for everyone on your list at one of these 15 superb holiday shopping locations in Oklahoma. The Castle in Muskogee features a light display outside and a small array of boutiques in the Castle itself. Have your picture taken with Father Christmas and pick up some homemade gifts for under the tree. Throughout the holiday season, Penn Square Mall features Christmas cheer and special events to get you in the mood for the holidays. You’ll find more than 140 stores, a movie cinema and renovated food court, along with extended holiday hours for added shopping time. All goods sold in this holiday market are purchased directly from artisans or members of the Fair Trade Federation. Find contributions from countries around the world, including Haiti, Ghana, India and Indonesia. The market is open until December 24. Woodland Hills Mall offers over 165 stores on two levels. Enjoy extended hours through the holiday season. When children need a break, take them to the special play area. Get lunch in the food court and take a ride on the carousel to get some great pictures for next year’s Christmas cards. Guthrie is home to several specialty stores that feature work by local artisans. You’ll find unique Oklahoma memorabilia and great antiques when you come to this town to shop. On the weekends before the holiday enjoy carriage rides and entertainment designed to take you back to what it was like in Victorian Oklahoma Territory. Find many local boutiques in the Rose District that offer local character and style. From fashion to furniture and everything in between, there’s something for everyone on your list. You’ll want to make sure you visit the Nouveau-Atelier de Chocolat for some special treats. Make sure to plan some time to go ice skating on Broken Arrow’s only outdoor rink. If you’re looking for holiday decorations, North Pole City has it all. Book an appointment with Santa to make sure your kids get to have their picture taken with the Big Guy this year. This store opens in August to give you plenty of time to get ready for the holiday season. For some of the best food gifts around, Three Rivers Pecans is the place to find all types of Made in Oklahoma products. Stop in for free fudge samples. The store makes several specialty candies using fresh locally-grown pecans. These holiday shops change every weekend, so you’ll never know what you’ll find here. Over 40 independent stores set up each weekend in little geodesic domes. Enjoy live music, food and beverages and come see Santa. Christmas lights, ice skating and a carousel are just a few things this winter wonderland offers in addition to small boutique-style vendors. It’s open until December 18 in downtown Oklahoma City. Come spend the day enjoying the gardens and getting your Christmas shopping done. If you’re into all things about cowboys, ranches and farms, the historic stockyards in Oklahoma City offer a number of specialty stores where you can find handcrafted accessories and home décor for everyone on your list. The Artesian Hotel has a small gallery which promotes local and native artists. Find jewelry, pottery and artwork as well as supplies in this gallery. Stay at the hotel for a special holiday season, which includes breakfast with Santa, story time from Mrs. Claus and possibly even a visit from a live reindeer. Make at stop at the Okie Twister Company for more made in Oklahoma specialty gifts. Har-Ber Village opens in the winter for a special holiday event called “Christmas on Main Street.” The Country Store offers a wide variety of seasonal gift designed for the person with a pioneering spirit. The buildings are decorated for the season so stop in and enjoy a cup of hot cocoa when you’re in the neighborhood. Come for some of the special holiday events like First Friday Gallery Walk or just come out for some special holiday shopping in this unique district in central OKC. Find special one-of-a-kind gifts guaranteed to please. Handmade goods with a touch of vintage are featured in this western Oklahoma shop. It’s a family-owned store that offers classes and parties where you can take home something fun.